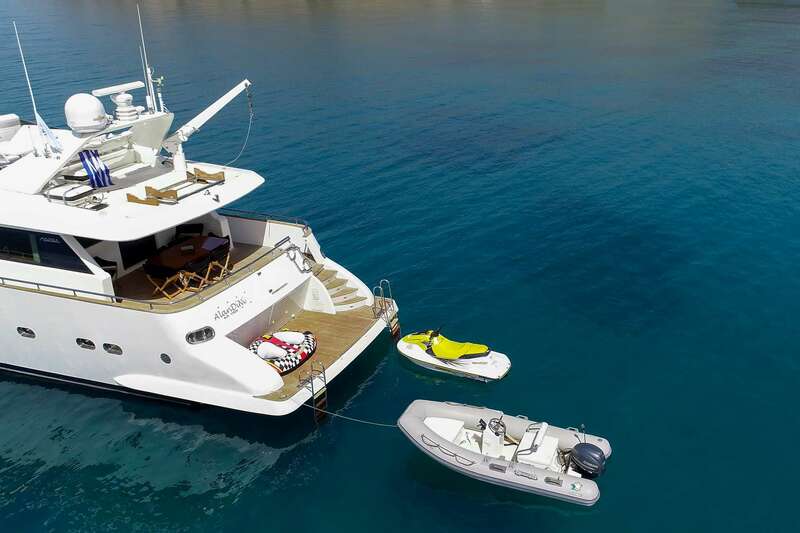 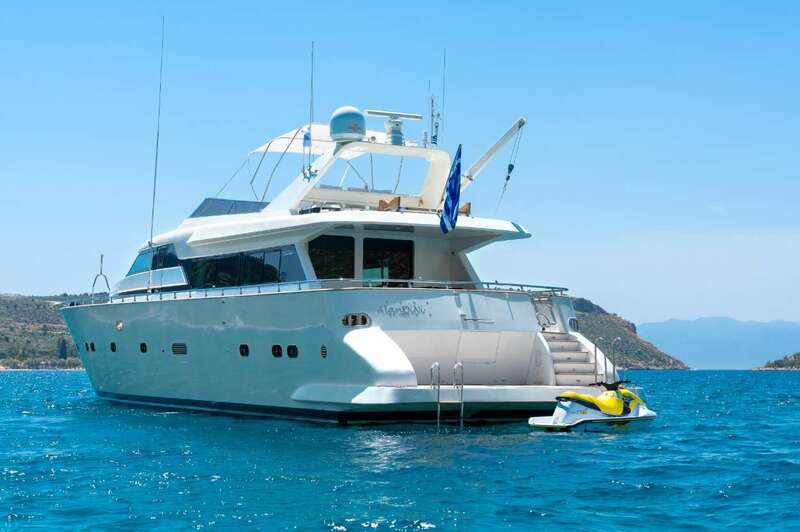 ALANDiNi yacht is an 87.0 ft long motor yacht monohull and spends the summer and winter season in Greece. 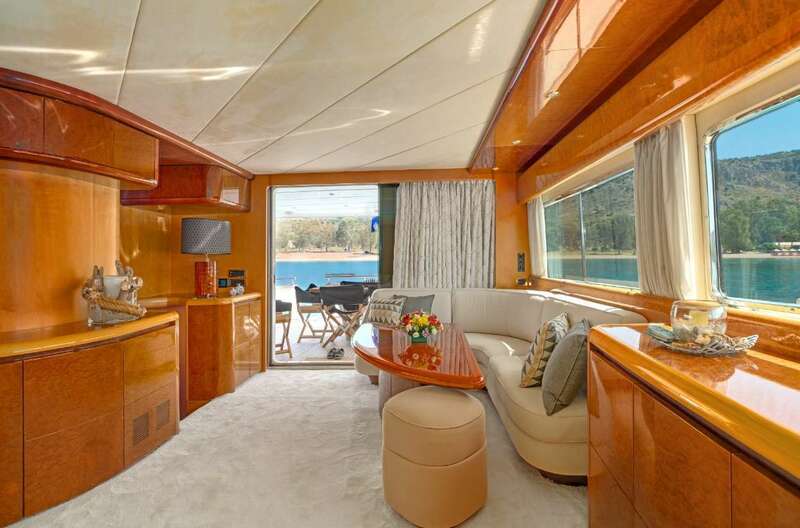 It was built by Maiora in 1997. 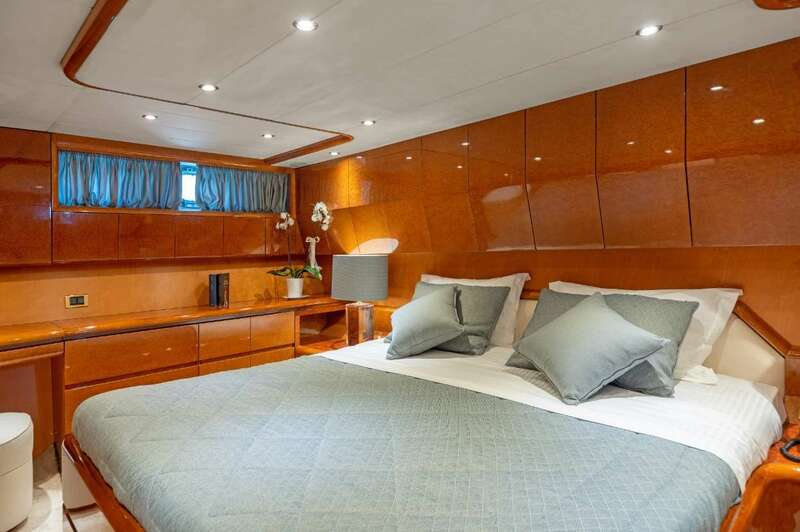 A refit was done in 2018. 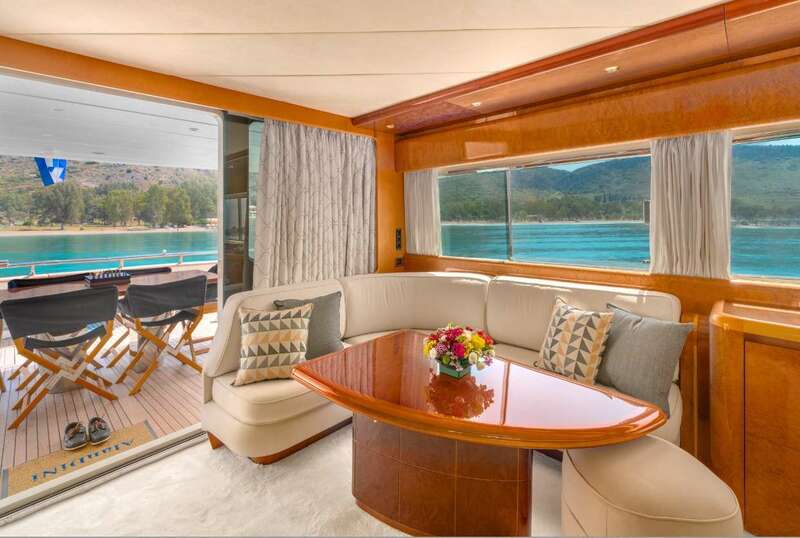 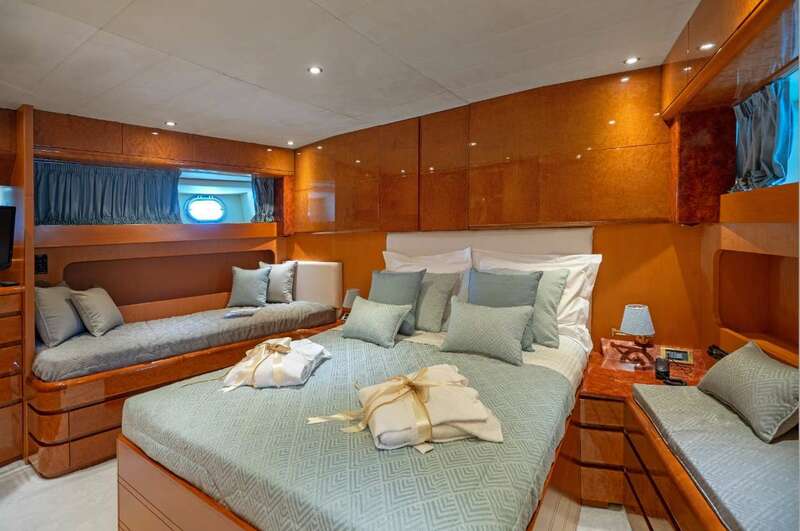 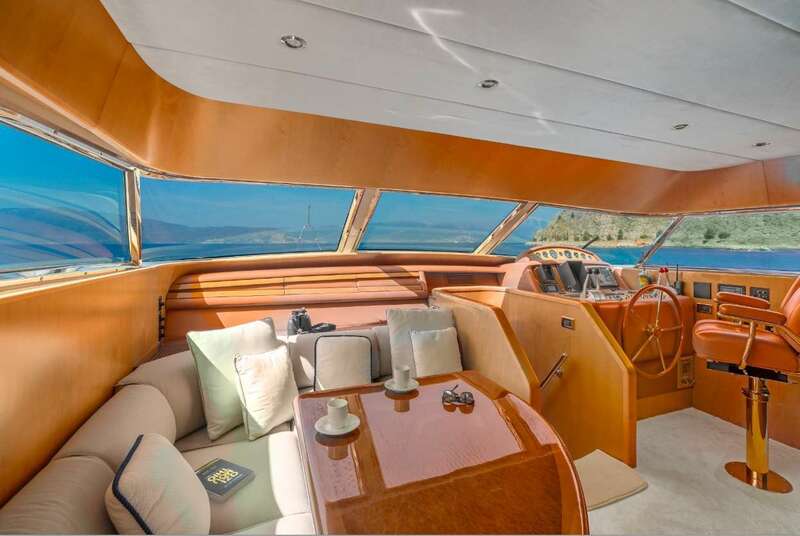 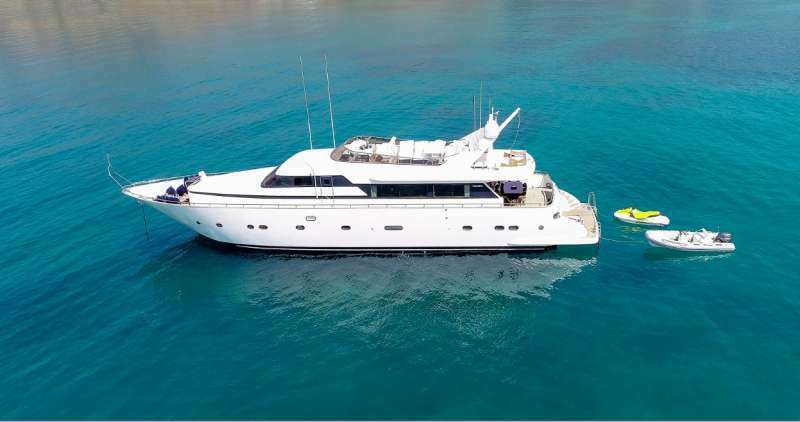 The yacht layout features 4 cabins and accommodates 11 guests. 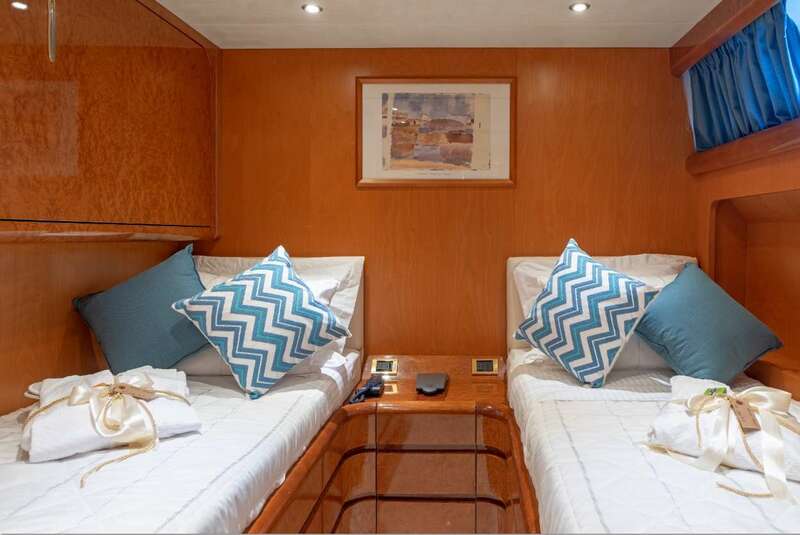 The cabin arrangement is following: 1 king cabin, 1 queen cabin, 2 twin cabins, 2 Pullman cabins. 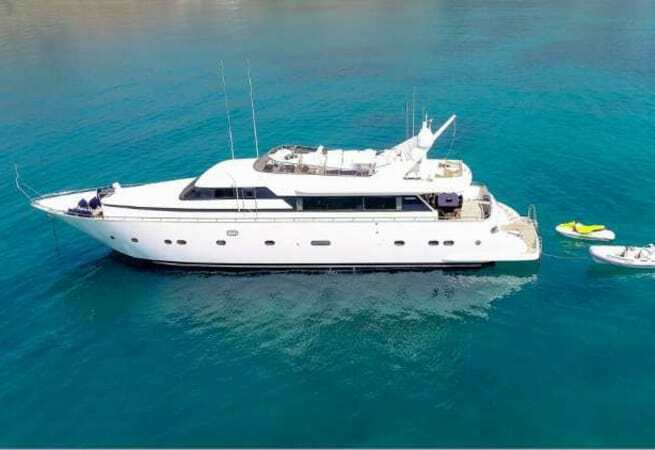 The motor yacht features 2 x GM Detroit Diesel 16V92TA 2 x 16Kw Yanmar Mase / 240lt/day (both gens) engines . 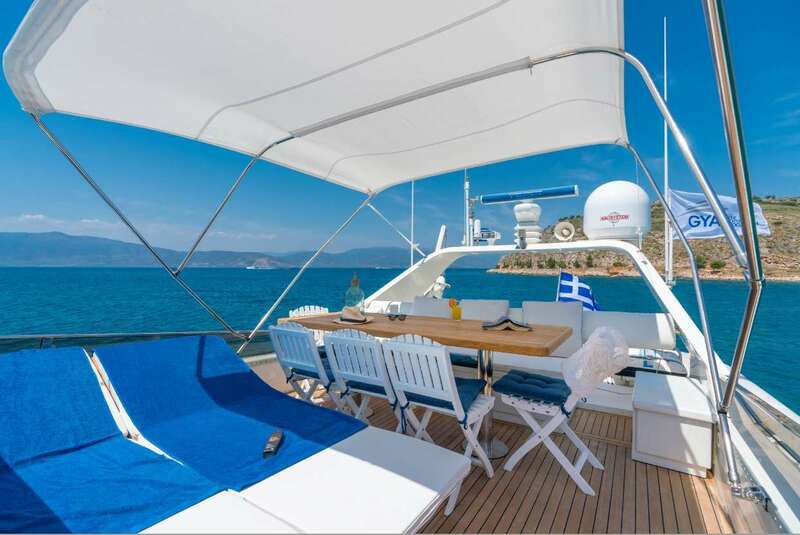 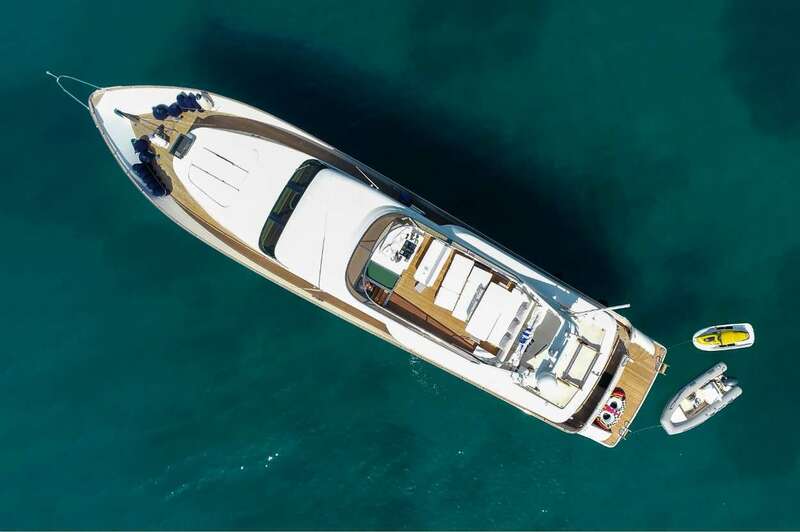 She is available for skippered charter, prices start from €28,000.00 per week.